I moved to Australia in 2013 and created this blog to help Irish people living in Australia. 10 million visitors later it now has evolved into a job board, flight company and offers support with many services Irish people need when they move to Australia. Pop over to my resources page(irisharoundoz.com/resources) to find every service and product I recommend. Thanks for stopping by and hope to see you here again. How can I get my working holiday tax refund? How do I claim my tax back in Australia?! What’s the cheapest way to get my tax back?! I’m going back to Ireland, can I get tax back?! When do I claim my tax back?! So rather than respond to every email, post, tweet or private message we just thought it best to write an article on your working holiday tax refund and how to claim it back. Tax always seems to be very complicated, and we wanted to make it as simple as possible to help you get as much back as possible! This is the first and most relevant one to do with claiming working holiday tax refunds. As the majority of Irish will come over on a working holiday visa(417) it is the first one we get questions on. Typically after you have been in Australia for 2 or more years you are very familiar with how tax back works and can in some cases do it yourself. Please see below some very important working holiday tax information! If you like you can use one of our recommended tax back companies. We will have more detail about them later though. Australia has a unique tax year that begins on July 1 and ends on June 30 of the following year. This means that when you file a current year tax return you will be reporting and paying tax on income earned between July 1, 2013 and June 30, 2014. When you start work (and each time you change employers) you will be given an Employment Declaration Form. Your employer is obliged by law to give you one of these forms and ensure that your completed form is sent off to the taxman (ATO) within 28 days of you starting work. ALWAYS tick YES. You are technically a resident for tax purposes on a working holiday visa. You are working in Australia as a ‘temporary’ resident. You also avoid paying a much higher rate of tax by ticking NO. Tax and tax refunds can be complicated. Basically, as you have been in the country for 6+ months you are classed as a resident for tax purposes. That means you are entitled to a certain tax-free threshold of $18,200 ( $6000 for years up to 2011) and to claim deductions against your tax. 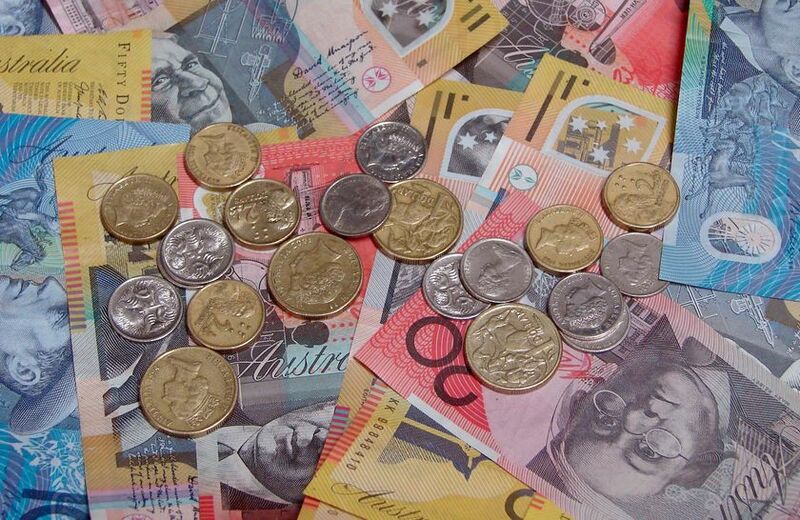 If you have earned under $18,200 and been in Australia for the whole tax year then you will get all your tax back. When you work the tax office assume that you will be in the job long-term so they assume you will earn e.g. $500 a week every week for the whole tax year and tax you accordingly. If you only do the job for a few months then you will have overpaid on your tax. Important: There is a special exception to these dates for people who are leaving the country. If you will no longer be in Australia as of June 30, you can file before tax season starts. Doing so is not only convenient but can help you get your refund faster. Tax refunds in Australia are available for the last 7 years, so if that return is from the 2007-2008 tax year or later, you could get tax back. 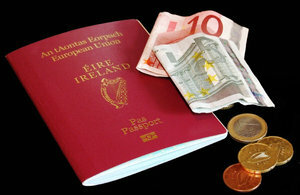 Most Irish can apply for tax-back twice! Once at the end of the financial year, and also when you have finished work and are about to leave Australia. Not a bad thing getting a working holiday tax refund twice! Again it just depends if your visa starts in the middle of the tax year, rarely people arrive bang on when it starts. For the most recent tax year July 1st 2012 to June 30th 2013 you can get your tax back in just 10-15 working days (2-3 weeks).For earlier tax years it can take up to 4-8 weeks. Generally, it’s better to be a non-resident, as you will only be taxed on the income you earn in Australia, as opposed to your worldwide income, and you won’t have to pay the Medicare levy. In relation to the medicare levy on a working holiday tax refund if you earn under 20000 in a year which is quite possible if you are doing a lot of travelling then you will not have paid any contribution to medicare so won’t have to worry about that. However if you have earned more than 20000 you can claim medicare back since we are automatically paying for it even though we don’t use it. On a side note your working holiday tax refund, Australia has concluded reciprocal medical agreements with the following countries UK, Ireland, New Zealand, Norway, Sweden, Finland, Netherlands, Belgium, Italy, Malta, Slovenia. In summary, it is important to keep records of all your earnings (pay slips) including superannuation, work related outgoing i.e. extra ordinary expenses incurred as a result of your work (may be tax-deductible), employer details i.e. business name, address etc, start and finish dates with different employers etc. Ideally if these are electronic its the easiest way to store them. Worrying about tax and stressing over it is pointless we much prefer just letting someone do it for us in the grand scheme of things totally worth it! Check out our recommended tax back specialists. Don’t forget about your superannuation which is a whole different kettle of fish. Luckily for you we have written an article just for you. claiming your Superannuation back. If you are curious about just how much tax you would of got back then simply fill in the form below to find out! There are lots and lots of tax back rumours flying around, 99% of them are incorrect! We also have a large number of other savings and deals on our resources page. Anyone who earns more than $450 per month has superannuation contributions paid into a fund by their employer. Click here to get your tax back with the most experienced agency in the industry. If you would like to apply for a tax return right now click here to go straight to the registration page! So go now and get some tax back! :) Go get your working holiday tax refund! Transferring money from Australia to Ireland? Read our money transfer guide. Sending money to or from Australia?